​Looking for a quick and easy keto cookie? But, if you are really looking for a standard chocolate chip cookie recipe, then go here. Melt the baking chocolate and coconut oil together in a small sauce pan over low heat, whilst stirring. When the chocolate is melted, add the sugar and vanilla and stir until mixed in. ​Scoop the mixture into bite sized clusters and drop them onto parchment paper. and drop them onto parchement paper. ​Let the clusters harden in the fridge for about 30 minutes. ​Enjoy or store the clusters in an airtight container. Depending on the size of your clusters, you can expect to get 12 almond and coconut clusters. The macros will vary depending on ingredients and the actual size of each snack. The following is the macros per cookie, assuming 12 cookies from the batch. ​For a more intense flavor, lightly toast the coconut and almond chips in the oven for a few minutes. Let them cool down before covering them with the chocolate mixture. Instead of baking chocolate, you can also use a 3.5 oz 85% dark chocolate bar. If you do, use less sugar as these chocolate bars contain some sugar. You can also make these without sugar, as the coconut is naturally sweet. 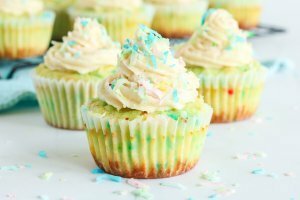 However most bakers find that these are not sweet enough, so add more erythritol or a little liquid stevia. I find melting chocolate messy and you lose some of the chocolate that gets stuck in the pot or microwave dish. If you regularly melt chocolate, then why not consider getting one of these melting pots that will melt your chocolate within 10 minutes and is really easy to clean. 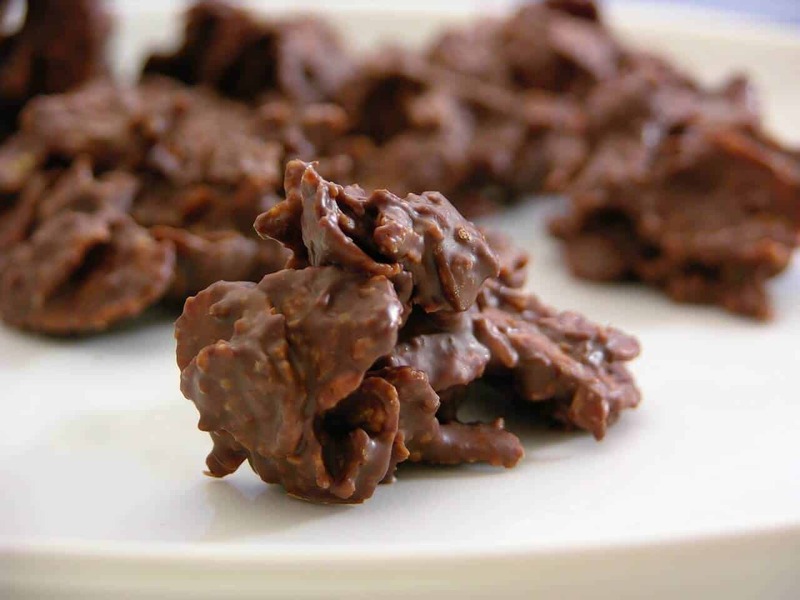 For another keto no bake cluster idea, watch Gayle Mcleod from Low Carb Recipe Ideas make this chocolate almond crunch cluster. melt your chocolate within 10 minutes. 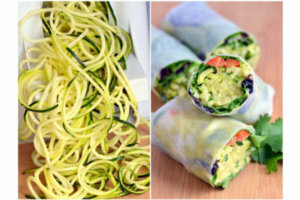 ​These scrumptious recipes are all made with 5 ingredients or less and have 5 or fewer net carbs. Or check out our keto diet snacks, which includes nine popcorn substitutes. I don’t know what kind of erythritol was used in this recipe. I use Swerve and 1/2 T is not nearly enough for baking chocolate! I kept adding tablespoons, then had to add coconut oil because it became too thick. I also added a dash of salt and another 1/2 teaspoon vanilla. Adding a spoonful of nut butter balanced out the flavor more to me. Then I had more chocolate, so added more coconut & nuts. But my taste test was yummy! I plan to sit them in the refrigerator to set up. Yikes, these are bitter! Definitely need to adjust this recipe for a little sweetness. Very bitter. I had a batch of it that I didn’t know what to do with since I couldn’t eat it. Please share an alternative when you find one. It’s $24 USD for 6 (4oz) bars. $1.04 per oz. Not sure where you get $84? Hey Tammy, this was in the Canadian store. The US price is very reasonable. These are a great idea. I think this recipe definitely calls for more sweetener- they are too bitter otherwise. Aside from adding more sweetener I also added a small sprinkle of sea salt on top once slightly set which was really tasty. Made them they are ok but not sweet at all, very bitter. I am very sorry, they didn’t weren’t sweet enough. I am going to retest the recipe, but I think sweetness is very much a personal preference. Thanks for sharing your experience. I made these but YES, needed more sweetness… So, I added about a teaspoon of liquid stevia & it’s now soooo yummy!!! THANK YOU! I’m happy these were so quick & so easy! Finished my first batch about an hour ago. Very good and simple but I’ll add a little more erythritol next time. Thank you! I am glad that you enjoyed them Jeff, thanks for sharing. I put in the vanilla then the powdered erythritol started to stir and it changed to one big blob. no way to mix in almonds. You may have over heated the chocolate. A double boiler is the best way. Hey, if you are not counting carbs, it should be okay. If you do try it, please let us know how it worked out? What are the Macro’s on these? I still don’t see any macros. Where are they listed? Thanks. These are delicious!! Really easy and quick to make. I didn’t have coconut oil on hand so I used olive oil – Still so delicious. These are definitely going to a staple in our now keto Home! Thanks for sharing!! Also do you have the nutrition facts for this, ie carbs, fat, protein and calories? What is powdered sugar like zylitol or erythritol? Hey Phyllis, the correct term is really confectioners sweetener. 🙂 I have added a link in to make it clearer. Thanks for your question. 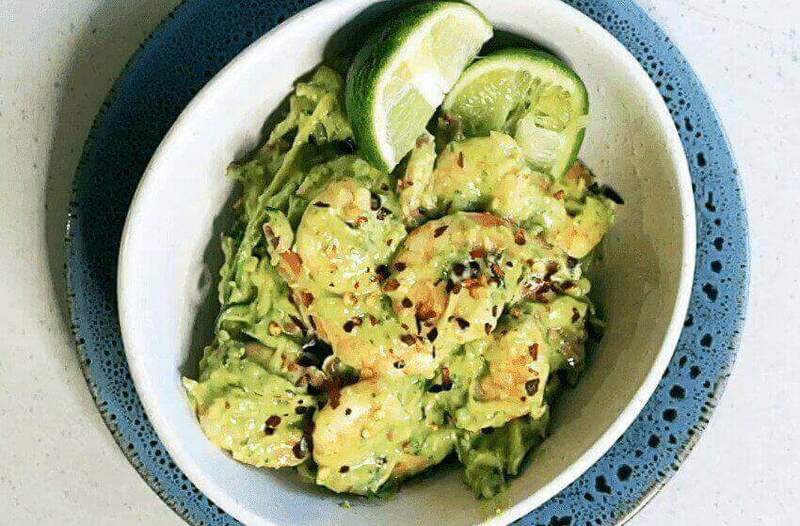 Can you provide the nutritional value for this recipe? WAIT! recipe says unsweetened baking chocolate but the link sends you to cocoa powder! which is it? i used baking chocolate not cocoa powder! i don’t necessarily like overly sweet things. i have more of a savory tooth, but this was severely lacking in sweetness! i ended up putting the equivalent of 1/2 cup sweetener and it still was not sweet enough! ? I am sorry this recipe didn’t work out for you. Also, maybe I missed it, but what is the total carb count per cookie? Thanks. The net carb per cluster is 2 assuming you get 12 clusters. I now added the detailed macros. Hey Kay, it is vanilla extract. I updated the recipe to make it clearer. Thanks for asking. look and sound delish. Do you know the macros for them? and are you using unsweetened coconut? Hey Bobbie, I have now added the macros and yes I use unsweetened coconut. I added 2 drops of liquid stevia and they turned out perfectly! Thanks for sharing. These are good, although I think they could use just a little more sweetness. Easy to make and satisfying. Thank you Renee, I am glad you enjoyed them. Good to hear that, thank you Shirley.